Jobsoid allows you to give some additional information about the jobs with the help of custom fields. You can choose to share this information with your candidates or solely with your team members. There is no maximum limit on the number of custom fields you create. 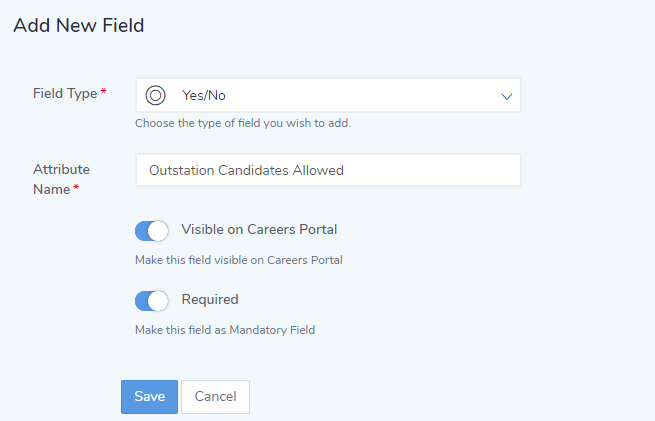 Jobsoid allows you to edit and delete these custom fields as and when required. Click on Edit and Delete icons next to the desired field name to do so.